Deb Muchmore, the head spokesperson for Nestlé Michigan, is married to Governor Snyder’s former chief of staff. Perhaps we should stop wondering why Nestlé keeps getting so much from the state government for so little. If they gave them the water from Flint it would help Flint restore the pipes and solve their problems sooner than later. If Nesle is given such a large gift they should be responsible for cleaning the water before using it. That's a pretty cheap drink they are receiving at taxpayer expense. I am sick of regressive's running and ruining this country that I love. Pull your head out of your a-- Michigan. Thank you for the heads up re the petition. Signed. Wow Michigan, why on earth would you even consider allowing Nefarious Nestle near your water let alone sell it So Cheap?? Shame. Petition signed. Boycott Nestle products, especially during the holiday season. Besides, maybe Nestle products contain lead too. So signed. 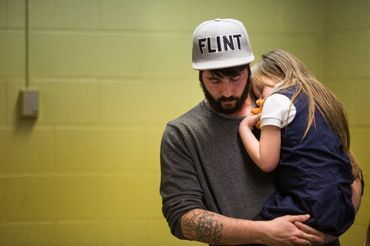 Where's Nestle's help with the Flint water poisoning crisis? Unbelievable! Signed and shared over social media. Nestle is a despicable company and the Michigan governor only has his own best interest at heart. Boycott Nestle and let them know why! Now they are trying to cheat people who have their own water poisoned? despicable! I have been boycotting Nestles for years. You have to be careful to check if the company is a subsidiary of Nestle. Outrageous, and the people of Michigan have no clean water to use. Please click above to see all the products under different names that may not say Nestle on the label, but listed as made by "so and so" to fool you. above is the UK list. still searching for American list. Greed is such an ugly thing. Signed Thanks for adding your name to "Michigan is about to sell 100M gallons of groundwater to Nestlé for $200"
Signed and shared the petition with friends who live in Michigan and Kentucky. Reshared petition over social media, Dandelion. Good morning and thank you for this article - which i read and noted- also the petition- which i signed today- I forwarded it via email to all my family and friends- sincerely KAY M.
Nestlé's greed is limitless, It should be stopped once and forever. Noted and signed. Sell Nestle' water from Flint. Signed. I haven't knowingly bought Nestle's products since the 70's, when I learned the company were promoting powdered milk over breast milk in developing countries. I see their ethics haven't improved with time! Correct Julie hasn't changed over time and because people support the deplorable company they get to stay in business. Too many people are unaware of what is going on and don't expect lamestream media to let any people know. How the Corporate one's who KNOW what they are doing sleep at night, but I suppose they sleep well not a bit of guilt over who they hurt to live in their fine homes and have a full bank account. Thanks Beryl for the additional links - I'll send another quick "how to" on the hyperlinks. Well Hartson I "get" in a roundabout way what you are trying to convey, however all that would do would hurt people outside of the Flint area. I will not buy bottled water, but then my water compared to many is good. There are people who now must depend on buying water because of drought, their wells poisoned with fracking, so more people dependent upon water from elsewhere. A tragedy all around. And on that vein, perhaps David the chemicals and toxins in our foods has too many people with too few brain cells to think with clarity anymore. I would suspect if one traced who gave approval to this sweetheart of a deal you'd find they most likely have stock in the company or they got a good kickback to do so. We have the crookedest Republican governor and legislature in the country; and I didn't vote for any of them. They gerrymaqndered the state so much it is nearly impossible to have a Democrat get voted in. Somehow this gerrymandering needs to go. We need a lot of Election Reforms but that is an uphill battle. FYI, we, the people of Michigan get no choice in what this crooked band of crooks do. We didn't even know about Nestle until recently, as we have been signing petitions against them. Didn't know the Gov. was related to them. They are a bunch of crooks that we are stuck with, we were always a Dem state until the Tbaggers came along and took it over, and got this snake for a governor. They are recounting vote here now, as we don't believe Trump got the vote. He gets booed every time he comes here. I'm with you, Hartson D.! I hate Nestlé and do my best to avoid their products. There is a PETITION also with this article Barbara. So much the public is not aware of until it's too late. Yes, I saw the petition and signed it too, signed several of these, but this band of crooks don't care what we do or don't want, they just run roughshod over us and we are even the most gerrymandered state in the country. I've asked for investigations, etc., but nothing gets done for the people who live here, as you can tell with the situation with Flint. The Feds sent several billion dollars to help, and the governor pockets the money and hasn't given a cent of it to Flint. The entire bunch belong in jail, but even the judges here are Rs and ignore it all. If the Fed's sent money to the State they should be assure that it is being properly used. Nobody seems to want to hold anyone accountable for anything anymore. Yet let a poor person steal a pair of shoes because theirs is full of holes and worn and they end up doing time in prison.